Do your kids have an interest in technology, building robots, coding, creating video games, building websites, photography, digital video, or making amazing Minecraft worlds? Then they will love the summer programs from Fleming Tech Camps at Valley Forge Summer Camp. To achieve our mission, Fleming Tech Camps partner with schools, museums, universities and summer camps to help those organizations offer state-of-the-art technology programs. This summer, Valley Forge Summer Camp will partner with Fleming Tech Camps to host dozens of our amazing summer camp programs. Parents can enroll their campers in up to seven weeks of Tech Camp at Valley Forge Summer Camp. For families looking for multiple weeks of summer camp programming Valley Forge Summer Camp can offer your family amazing flexibility. You can enroll your child into one, or more, weeks of Fleming Tech Camps and also enroll them into a wide range of other camping programs, including Valley Forge Summer Camp‘s traditional day camps. Summer camp programs at Valley Forge Summer Camp run from 9AM to 4PM. However, Valley Forge Summer Camp also offers AM and PM extended day options for parents that need addition flexibility. In the summer of 2019, Valley Forge Summer Camp and Fleming Tech Camps will will offer seven weeks of programs, with three technology programs each week. Throughout the summer, we will offer technology camps for two groups: rising 2nd through 5th graders and rising 4th through 9th graders. Experience the amazing world of Minecraft. Build your own virtual reality in a sandbox-like environment by using tablets to challenge your mind and create your own adventures. This fun and engaging camp will spark interests, foster creativity and help you maximize your learning potential. No prior experience with Minecraft necessary. All skill levels welcome. Use Minecraft to learn how to design, build and explore 3D game adventures. At camp you’ll receive instruction in adventure game design and focus on making your own game levels. You’ll use your creativity and fine-tune your problem-solving skills, as you navigate the various construction challenges working with Minecraft EDU. Work individually and in groups to maximize collaboration and decision-making as you face design challenges and build your very own Minecraft world. 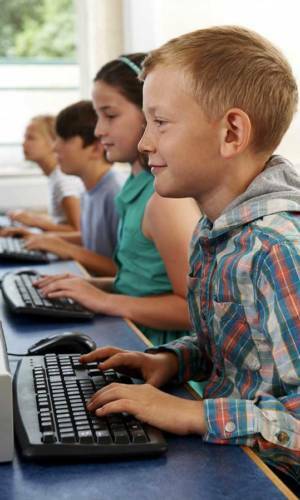 Basic experience with PCs and basic computer skills, such as typing, are expected. All Minecraft skill levels are welcome. If you love Legos and Minecraft then this camp is for you. Work with other Minecrafters to design, craft and build amazing Minecraft Lego Bioms. You’ll work in teams to build an exciting Minecraft World with minecarts, caves, castles, traps and machines. In addition to building a Minecraft inspired world you’ll also explore introductory engineering concepts with LEGO’s Simple and Powered Machines. See the world through a new lens, as you learn how to take photographs and edit them like a pro! Explore photography techniques, learn about digital camera functionality, gain hands-on experience taking photographs and discover how to digitally enhance your images using graphic design software on a computer. No prior experience with digital cameras or graphic design is necessary. All skill levels are welcome. The camp day is divided into two topics: Digital Photography and Intro to Engineering. In Digital Photography campers will take photos, make photo edits, add 2D art and create other fun and engaging images. During the Intro to Engineering portion of camp, campers work with a variety of tools that investigate simple motors and machines (gears, wheels, axles, levers and pulleys), while solving tasks related to mechanical principles. Our Scratch coding camp provides campers with the ultimate introduction to programming. Using Scratch, an educational application created by the MIT Media Lab, campers will learn the basics of software development in a sophisticated, yet easy to learn environment. Campers will learn basic software development techniques and use drag and drop tools to design and program projects. No prior experience necessary. All skill levels are welcome. Calling all future game developers! Bring your video game ideas to life as you learn the ins-and-outs of how video games are designed and produced. During week one, learn how to use a number of software design tools to create Mario-like, platform-style video games. In the second week, work with RPG Maker software to design and build complex role playing game worlds. Highlights include informational lectures, as well as the use of a hands-on game design lab where campers design, customize, construct and test their creations. Campers are encouraged to take this camp multiple times. The camp day is divided into two topics: Game Design & Roller Coaster Science. In the Game Design potion of camp, campers learn the basics of video game development and design games by hand with Bloxels and tablets. In the Roller Coaster Science session, campers work with instructors to learn the basic engineering behind roller coasters and use K’Nex to build models that demonstrate how roller coasters work. Learn the fundamentals of web design and create your very own website. The focus of this camp is on HTML development and graphic design. A subject matter expert will provide design and development instruction for beginner, intermediate and advanced campers. Individuals with prior experience can jump right in and start working on their projects. For beginners, no experience is necessary since you will be guided step-by-step through the creative process. Turn camp into a engineering & coding laboratory and explore the exciting world of Robotics! Learn how to design and build a robot using LEGO® WeDo 2.0. Make your robot come to life, as you learn how to program it to perform project-oriented tasks and challenges. This camp is designed for campers who have a keen interest in robots. No prior experience with LEGO® WeDo necessary. All skill levels welcome. Are you up for an adventure? In this multi-player environment, Minecraft will be the vehicle to help develop your leadership and social skills, as you accomplish unique missions with a team of campers. Use your imagination and collaborate with your team to design and build a large-scale Minecraft Missions project. In 2019 expect the most exciting missions yet. Creativity, critical thinking and communication will be your keys to success! Previous experience with Minecraft is recommended. The camp day is divided into two topics: Sports Car Racing and Robot Challenge. In Sports Car Racing & Design campers compete against each other and race Anki smart cars and also work in teams design and build large Anki race courses. During the Robot Challenge campers will be provided an introduction to robotics that will show them how to pre-program, code and operate a robot through a varierty of tasks. If you like 3D-based video games then this camp is for you! Portal 2 is a puzzle-platform style game that challenges you to use your wits to solve complex problems. Fortnite is a fast paced E-Sports adventure game and one of the most popular games on the market today. At camp you’ll compete in daily Fortnite battles and use the game as inspiration to design your own 3D adventures. To build your adventure you will use 3D game engine design tools and Portal 2 to create an adventure that features intricate labyrinths, puzzles and traps. All skill levels are welcome. Put your creativity into motion as you master fundamental animation principles while learning digital animation techniques and how to animate your own creations. This camp provides an introduction to animation, walk cycles, and storytelling techniques. No prior experience is necessary. All skill levels are welcome.